Gorgeously updated and meticulously maintained 3 bed home! New wood laminate flooring and tons of natural light throughout the entire home. Stunning kitchen with tile counters and backsplash, updated hickory cabinets and a large butcher block eat-at island. Mountain views from upper bedroom, main living room and lower family room. Upper level has 2 bedrooms and a full bath with updated fixtures, tile and flooring. Finished garden level has 3rd bed w/attached half bath, spacious family room, laundry area and storage closets! The backyard is fully fenced and boasts a 15x15 concrete patio and lush green lawn! Tons of extras and attentions to detail throughout! 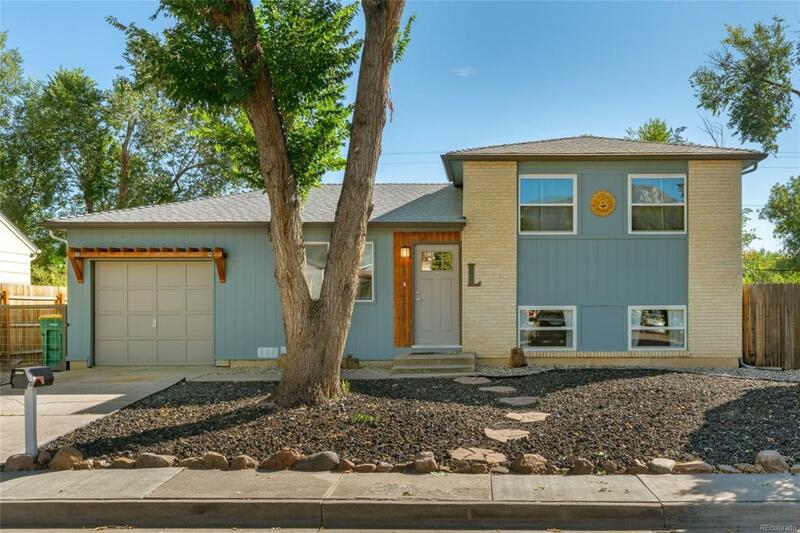 This home also has an attached garage and is conveniently located in a mature neighborhood, just south of Downtown and minutes from shopping, parks, schools I25 and Ft Carson!